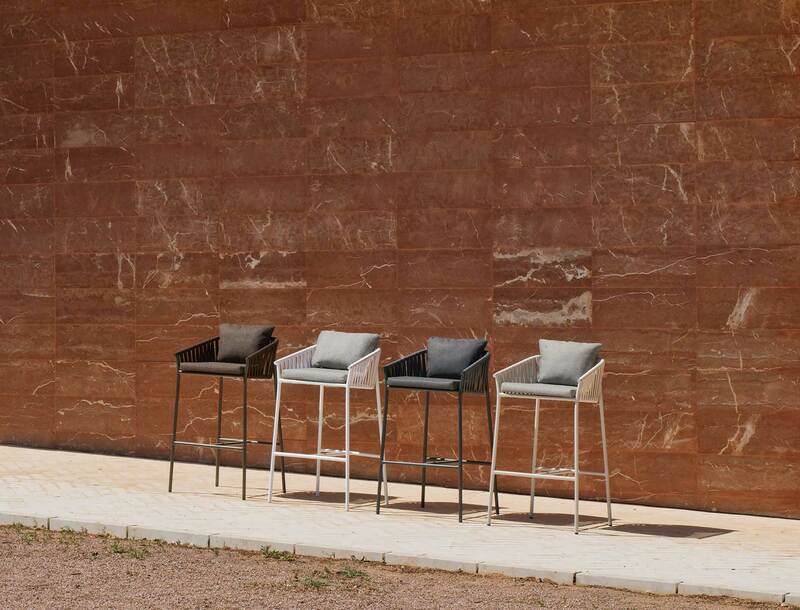 An extensive range of seating and tables for outdoor use. 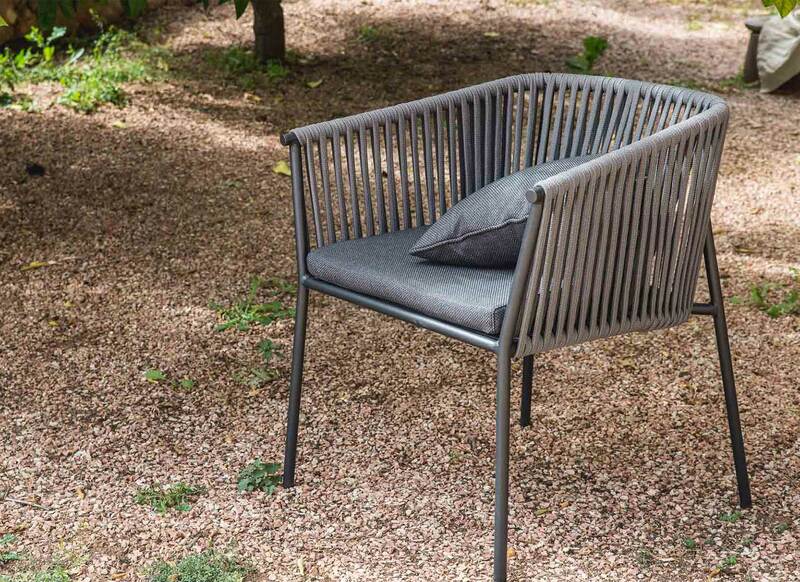 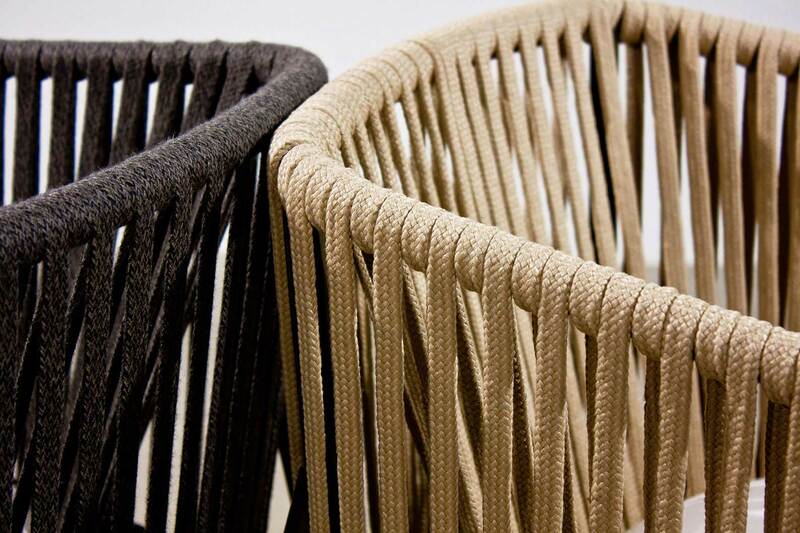 The seating elements use an acrylic rope which is woven and wrapped around a tubular aluminium frame to create a double walled, basket like structure. 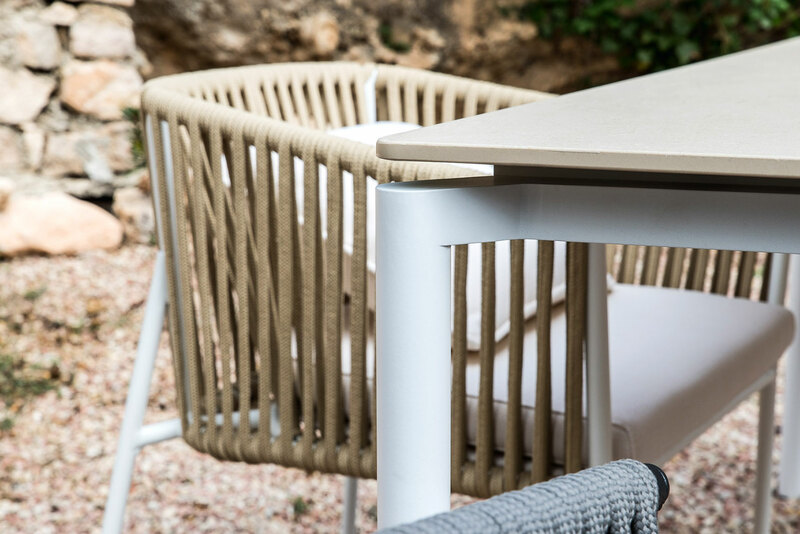 Light, movable, durable and simple. 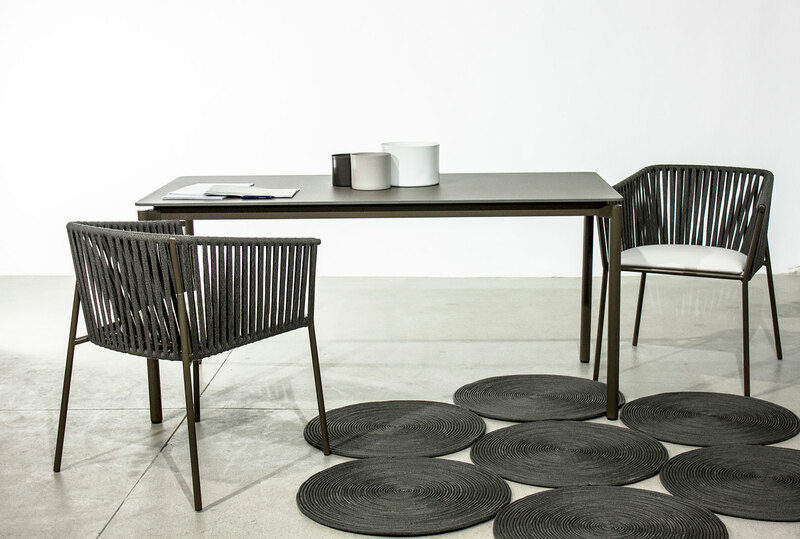 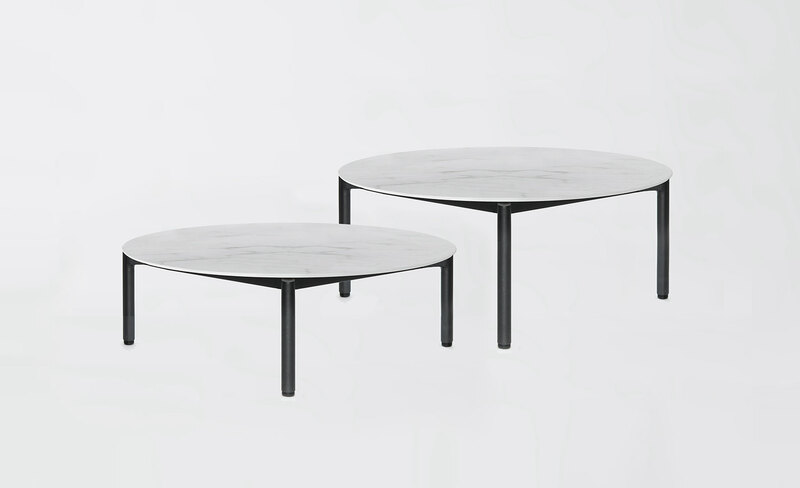 The series of tables in various sizes and heights use the principle of raising a thin table surface off the frame to create an essential, refined profile.